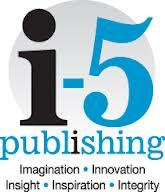 I-5 Publishing, a provider of multi-platform content for special interest communities and brands, has acquired Dogster and Catster from SAY Media. Say Media acquired Dogster and Catster in April 2011. Dogster and Catster, which draw a combined 2.5 million visitors a month, serve as a one-stop resource for dog owners and cat owners, respectively, and offer information about grooming, diet, health and well-being. The Catster and Dogster teams will report to I-5 General Manager & Vice President, Digital Jennifer Black. Catster and Dogster will remain headquartered in San Francisco, Calif.